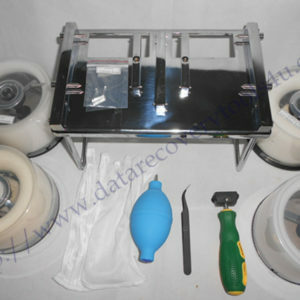 This is one successful remote data recovery case study for one DFL user in USA. 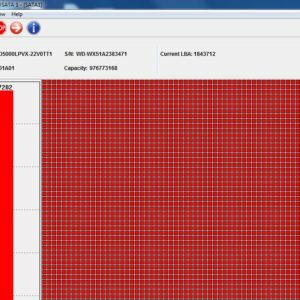 According to the user’s report, the patient drive could be properly detected and was able to enter F3 T> but when he tried to image the hard drive, he could only image 70% around of the drive and the last 30% of data was blocked. If the user tried to scan the bad sectors, full of bad sectors was found. The very first thing was to backup the rom, translator, primary defect lists and NG-list and next users tried the DFL auto partial sector access solution, but no bad sectors were found and the log windows reported translator restoration success. That is to say, the problem of the last 30% problem was caused by some other issue. Engineer checked the NG list contents and found some entries inside and next, the engineer fixed NG list with DFL Seagate firmware repair tool, clear defect lists, reset smart and then regenerated translator, power off and on, the drive was perfectly fixed and the last 30% of data was accessible too. This partial sector access problem for ST3000DM001-1CH166 was fixed within two minutes and the user could finally recover 100% of the data with DFL-DDP data recovery program.